March is always an exciting time of the year on Sanibel & Captiva. The weather is usually stellar. Temperatures in the high 70’s to mid 80s and the humidity is usually very moderate. This warm weather brings in one of Florida’s most prized game fish – the Megalops Atlanticus or the Tarpon. 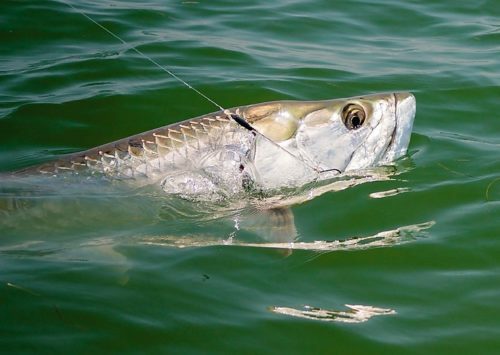 Tarpon are known for their acrobatic jumps, drag burning runs and the stamina to wear out even the most seasoned anglers. There are few species that can match the power of these fish. They range in size from 40-200lbs, and they have the ability to humble even the most well prepared fishermen. You NEVER forget your first tarpon needless to say your last. They are truly amazing creatures. We’ve been blessed with a warmer than usual weather pattern which brought in a few Tarpon. While some have already been caught, the inevitable early March cold front will chase these fish back to their off season haunts for just a little while longer. But they will be back soon. Real soon. silver king can be harmful to the fish and the angler. The gear you choose should be designed to quickly get the fish to the boat, and safely release the fish. The fish should never come out of the water, and handling them should be kept to a minimum. We use many tactics to catch Tarpon on Sanibel and Captiva. Depending on the location and the time of the season cut bait, live bait or artificial lures may be used. And catching them on the fly is always more challenging but an option. The key is finding the fish, knowing what they are feeding on and having the proper tackle to handle them. In most instances I prefer 8ft heavy action rods and stout 6000-8000 series spinning reels. Circle hook sizes should match the bait and leaders from 60-120 lbs should be used. 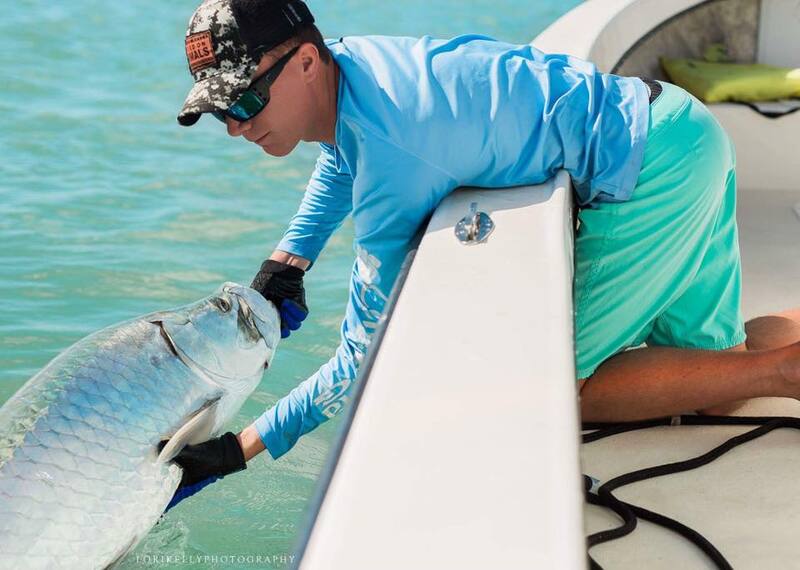 Most importantly, if you’re planning to book a Tarpon trip, book early. I usually end up running 2, sometimes 3 charters a day. So please call early, and get on the schedule. Tarpon trips can get challenging with more than 2 or 3 people. Below is a video of a fish I caught last year to give you an example. 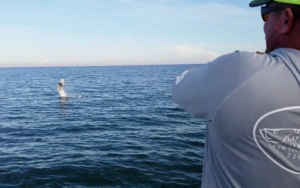 Tarpon fishing can be a full contact sport, but it’s always fun! If Tarpon aren’t on your priority list, or you’re looking for a more family oriented trip there is a whole host of other options on the table this month. March typically is a great month for Snook and certainly Mackerel. Sharks are usually plentiful. 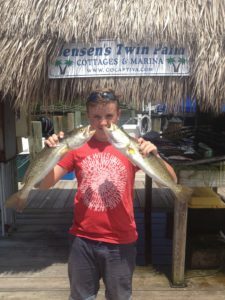 Not to mention its’ a great time of year for those big Gator Trout and Ladyfish that make for great memories on family fishing charters. There is plenty of fish here to catch this month! The most important thing is to get out there and wet a line. 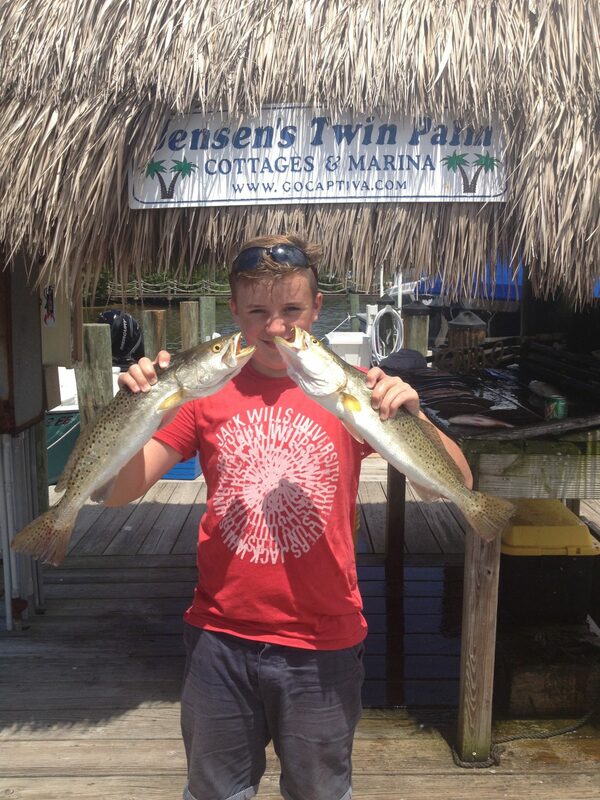 The Jensen brothers have a saying – “Quit wishin, go fishin!” It’s never more appropriate than it is this time of year! Hope to see you all soon, and tight lines!